Crumlin recognised the groundbreaking protocol agreed between the ITF and UNI Global Union and DHL, ITF unions’ backing of the solidarity effort of the Korean labour movement to oppose the government of Park Geun-hye, and the ITF’s lifting the lid on the secretive corporate structures and tax minimisation schemes used by Chevron and other major North Sea oil producers. OCA Dispute Resolution Procedure – Unite/GMB Pay Claim 2016/17. As per appendix F of the Offshore Contractors Partnership Agreement, as signatory full-time trade union officials, we are invoking the Dispute Resolution Procedure in regards to the failure to agree the Unite/GMB Pay Claim 2016/17. As discussions so far have included the national officials of the signatory trade unions this procedure would commence at the Final Stage of this procedure, and any resolution should be within 6 weeks of this application. Under part F3.3 of the procedure, the status quo will be maintained until agreement is reached at any stage in the procedure or it is exhausted. Notwithstanding this, the signatory trade unions will prepare industrial action ballots, in case of failure to secure a resolution. Unite have served notice on the offshore contractors association (OCA) and member companies. All Unite and GMB members should prepare for a legal industrial action ballot and be strike ready should there be a YES vote from the legal postal ballot through Electoral reform service. Unite and GMB elected workplace shop stewards along with full-time union officials will be in dialogue with the OCA negotiators throughout the process and the run up to an Industrial action strike ballot in line with the UK employment law. As you can see from the examples above, recent Offshore workers industrial action ballots the membership decide what clear route and what clear path they can take. Decommissioning opportunities are set to grow as part of the natural lifecycle of oil and gas projects, our action plan will help establish Scotland as a global centre of excellence. To remain at the forefront of the oil and gas industry, the sector in Scotland has to be ready to make the most of the new opportunities when they appear. Our action plan outlines how we’re planning to help Scotland’s oil and gas sector make the most of decommissioning opportunities at home and abroad. One such area is decommissioning. 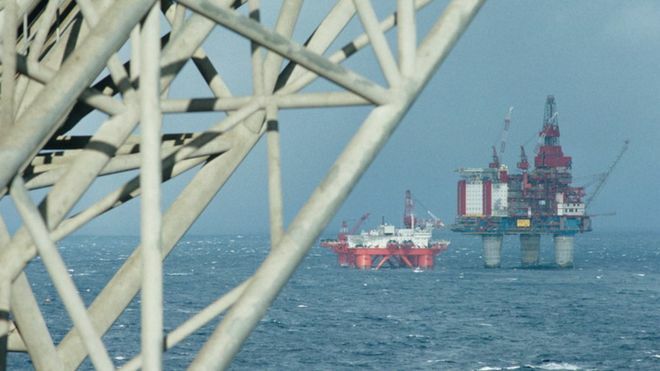 In fact, more than 100 companies in Scotland have already been involved in significant decommissioning opportunities in the UK continental shelf (UKCS). Those opportunities are set to grow over the next few years as part of the natural lifecycle of oil and gas operations. It’s currently estimated that decommissioning activity in Scotland over the next 10 years could be valued at between £8.3 billion and £11.3 billion – supporting peak employment of 16,925 to 22,775 jobs. Working with our colleagues at Highlands and Islands Enterprise (HIE), we’re determined to help Scotland become a centre of excellence for decommissioning. To help achieve our ambition for decommissioning in Scotland we have developed an action plan to summarise our approach and outline the steps we plan to take. Our action plan has been designed to support the Decommissioning Strategy published by the Oil & Gas Authority in 2016. Xodus, headquartered in Aberdeen, provides engineering and advisory support to clients in the oil and gas, renewables and utilities industries worldwide. Bibby Offshore, headquartered in Aberdeen, provides project management, engineering, subsea construction and inspection, repair and maintenance services to the oil and gas subsea sector. Decommissioning has been a key area of focus for Bibby Offshore for many years and it has built up a strong track record supporting clients, globally. One example was a contract award from Endeavour International Corporation for the Renee and Rubie decommissioning project in 2015. Using their ROVSV, Bibby completed a side scan sonar survey, sub-bottom profiling, pipeline and mattress surveys. The recovery phase involved subsea preparation works to ensure the safe and efficient recovery of the production manifold, cross-over structure, 2.5 kilometres of rigid flowlines, control umbilicals, concrete mattresses and general debris. All materials were offloaded at Peterhead Harbour for recycling and disposal safely and responsibly with minimal environmental impact. We’ve developed a number of actions to achieve our objectives in decommissioning. Are you ready to find opportunities in decommissioning opportunities for your supply chain company? We’ll be delighted to help you make the most of the growing opportunities at home and abroad. The number of people contacting Aberdeen’s Citizens Advice Bureau claiming unfair redundancy from the oil and gas industry has doubled in a year, BBC Scotland has learned. The charity said it had been advising hundreds of former workers in the sector over the past 12 months. Some have managed to successfully challenge their former employers, CAB Aberdeen said. An incorrect selection process has been one area used for challenges. Zara Strange, the CAB manager in Aberdeen, told BBC Scotland: “It’s not the fact that redundancies are required, I mean we all know that, it’s just the way people are being selected. “We have people who we will challenge on their behalf. “Invariably we will win that case because people are being unfairly selected. The CAB will often advise employees to join a Trade Union and get organised in their place of work as Trade Unions are in the workplace 24 /7, if you are asking the CAB for advice at work it`s often too late for assistance. What is a trade union? An organisation of workers in the workplace created to protect and advance the interests of its members by negotiating agreements with employers on pay and conditions of work. Ask Acas – Trade Union Recognition What is Acas? Acas is an independent public body which seeks to: • prevent or resolve disputes between employers and their workforces • settle complaints about employees’ rights • provide impartial information and advice • encourage people to work together effectively. What is the Acas role in trade union recognition? Acas can: • give impartial and confidential information and advice on trade union recognition • help resolve disputes over trade union recognition by voluntary means • help resolve disputes when a union makes a claim for statutory trade union recognition • assist with membership checks and ballots to help resolve trade union recognition issues • assist employers and trade unions to draw up recognition and procedural agreements and work together to solve problems. What is trade union recognition? A trade union is “recognised” by an employer when it negotiates agreements with employers on pay and other terms and conditions of employment on behalf of a group of workers, defined as the ‘bargaining unit’. This process is known as ‘collective bargaining’. A trade union may seek recognition in an organisation by voluntary or statutory means. Voluntary trade union recognition When a union uses voluntary means to get recognition, it will contact the employer without using any legal procedures. Acas can help if both parties agree. Where do unions apply? • An independent trade union may make an application to the Central Arbitration Committee (CAC) for recognition in organisations that employ at least 21 workers. The CAC is a permanent independent body with statutory powers. • It makes legally binding decisions on applications concerning the recognition and de-recognition of trade unions for collective bargaining purposes, where employers and trade unions cannot agree voluntarily. What requirements have to be met before the CAC can consider an application from a trade union? • The trade union must first have made a formal application to the organisation concerned. The trade union must show, either through a ballot, or through levels of membership, that it has the support of a majority of workers in the bargaining unit. Where the CAC makes a declaration that a trade union should be recognised for collective bargaining purposes, the parties must then agree a bargaining procedure. If they cannot agree a procedure, the CAC will. The Acas role is separate from the statutory decision making role of the CAC and is entirely confidential. What is conciliation? It is a voluntary process of discussion and negotiation by which Acas helps parties in dispute to reach their own agreement. Acas conciliators have no power to impose, or even recommend, settlements. On behalf of the Unite offshore team, elected workplace shop stewards, regional officers, organisers and unite staff. We would like to wish all our members and sister trade union members working in the UKCS Oil & Gas sector a peaceful Christmas and prosperous and safe New Year. Members of Scotland’s biggest offshore trade union have gone into official dispute with employers, in a move that could lead to a vote on industrial action. In a consultative ballot earlier this month, 85% of Unite members voted to reject a no-change pay and conditions offer from their employers, represented by the Offshore Contractors Association (OCA). The proposal would have seen no increase in pay and no change to the conditions of members. Unite has now given notice of an official dispute under the OCA agreement. This means that there is now six weeks for both sides to find a resolution. The union will also put procedures in place for a possible ballot on industrial action in the New Year. Unite regional officer Tommy Campbell said: “Sadly, we are being forced to give notice of an official dispute because our members believe they aren’t being listened to. “The overwhelming result of the consultative ballot shows that the status quo is not an option. Unite, along with the GMB union, are seeking a wage increase for offshore members, along with improved sick pay and paid travel time.